Pump is a mechanical device which moves the fluids from one place to another by mechanical action. It may be driven by manual operation, electricity, engines or wind power. 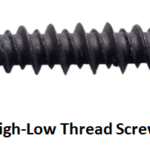 They come in various sizes starting from microscopic to large industrial pumps.They mostly operate on the mechanism of reciprocating and rotary. It consumes energy in order to do mechanical work for moving fluid. They are almost used everywhere such as pumping water from the wells, pond filtering, fuel injection, for operating cooling towers etc. 1. Single stage pump: A pump with one impeller rotating in its casing is called as single stage pump. 2. Double stage pump: A pump with two impellers rotating in its casing is called as double stage pump. 3. 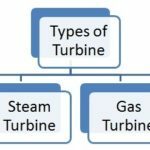 Multi-stage pump: When a pump has more than two impellers in its casing than it is called as multi stage pump. It is a pump in which fluid is moved by sucking a fixed amount of fluid in a cavity and then forcing this fluid from the cavity to the discharge pipe. Some positive displacement has an expanding cavity at suction side and decreasing cavity at the discharge side. 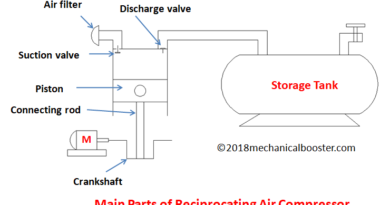 As the cavity expands the fluid enters in the cavity and when the cavity decreases, the fluid forces to the discharge pipe. Examples of these types of pumps are: internal gear pump, piston pumps, diaphragm pumps, rope pumps etc. (i) Rotary Type Positive Displacement: screw pump, internal gear, shuttle block, flexible vane or sliding vane, circumferential piston, flexible impeller, helical twisted roots or liquid ring pumps. 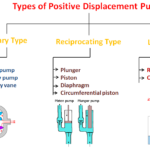 (ii) Reciprocating Type Positive Displacement: plunger pumps, piston pumps and diaphragm pumps. Impulse pump is operated by the pressure created by the gas (usually air ). In some of these pumps what happen, the gas is trapped in the liquid (mostly in water), is released and accumulated somewhere in the pump, this creates pressure that pushes part of liquid upwards. For example: hydraulic ram pumps, pulser pumps and airlift pumps. In velocity pumps, the kinetic energy is added to the fluid by increasing the flow velocity. This gain in kinetic energy is converted into potential energy (pressure) by decreasing the velocity as the flow exits the pump into the discharge pipe. 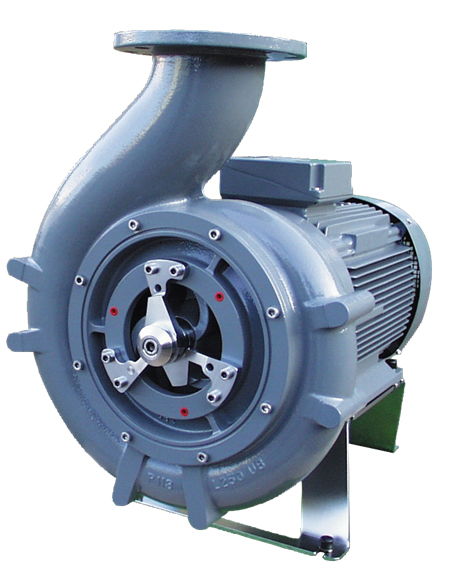 For example: rotodynamics pumps such as centrifugal pump. The pump in which the flow of fluid takes place with the help of gravity is called gravity pumps. For example – syphon and heron’s fountain. 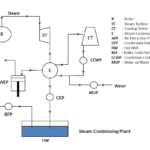 It is a pump in which the valves are not present and the flow of water takes place in the absence of valves. For example – impedance pump. 2. Radial Flow Pumps: In these types of pumps the flow of fluid takes place in radial direction i.e. at right angles to the axis of rotation. 3. Mixed Flow Pumps: In these pumps, the fluid enters axially and comes out radially or vice versa. 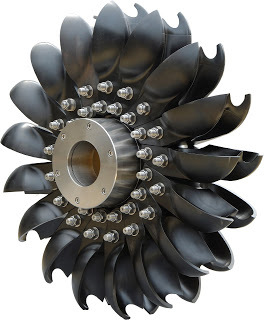 It is a combination of axial and radial flow pumps.